By Jonas Wilson, Ing. Med. The abnormal accumulation of calcium in tissues where it should not be physiologically found happens as a result of many factors. This build-up of mineral may occur in specific tissues / organs or widely throughout the body. While some instances of calcification may be completely harmless, there are those that may signal serious underlying disorders. These factors may be broadly categorized into two major causes, namely, an elevated calcium blood level (hypercalcemia) and tissue injury, both of which may be triggered by a plethora of conditions. Hypercalcemia or increased blood level of calcium is calcium found in a concentration that is higher than the usual range of 8.5 to 10.2 mg/dL. However, this normal value may vary slightly between different laboratories due to differences in protocols. Increased blood calcium can be due to many pathological entities such as hypercalcemia of malignancies (common in advanced stage of cancer cases), primary hyperparathyroidism, vitamins K and D derangements, intestinal absorption, and pharmacological agents. Most cases of hypercalcemia of malignancy are associated with dysregulation of parathyroid hormone (PTH) and PTH-related peptide (PTHrP). Under normal physiological conditions, PTH is activated when calcium levels in the blood drop, which ultimately results in increased calcium absorption from both the renal tubules and the intestines to correct the drop. PTHrP is capable of acting on the same receptors as PTH. While it is normally produced and secreted by various cells in the body, especially the breasts, PTHrP is upregulated in cancers such as breast cancer, non-Hodgkin’s lymphoma, ovarian cancer, squamous cell cancers, and other cancers of the genitourinary system. Hyperparathyroidism can be primary, due to an enlargement of the parathyroid glands and thus increase in PTH hormone, or secondary, as a consequence of a disease that causes low calcium levels in the body. The causes of primary hyperparathyroidism include benign tumors such as an adenoma or malignant tumors, which are very rare. The over-production of PTH leads to an inevitable increase in serum calcium as a consequence of calcium released from the bones and increasing the amount of calcium absorbed from the small intestine, both under the influence of PTH hormone. Vitamin K plays a very role in shuttling calcium to its physiological locations in the body and removing it from areas where it should not normally be found. 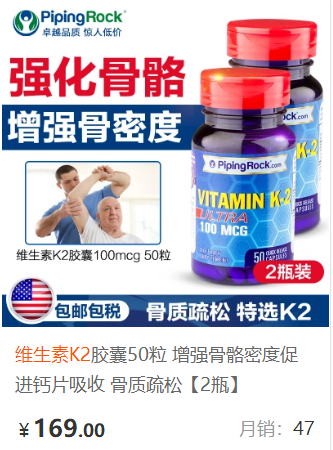 A deficiency in vitamin K due to drugs such as warfarin that antagonize it or bile obstruction that inhibits intestinal absorption, impedes its physiological function. Vitamin D is important for intestinal and renal calcium absorption and evidence shows that vitamin D hypervitaminosis (too much) may actually be caused by vitamin K deficiency. When tissues are injured there are local chemo-attractant signals generated to pull calcium into the damaged area. 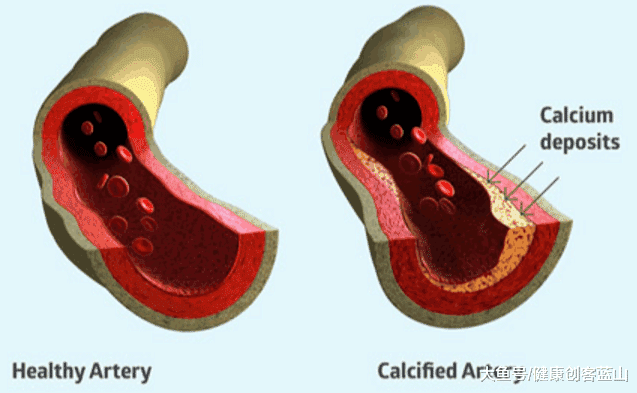 Damage to blood vessels, for example, results in the formation of an atherosclerotic plaque with fat accumulation that over time becomes calcified. Another example of tissue injury with the formation of calcium deposits is in breast tissue, where fatty acids are released and combine with calcium and grow over time that may result in processes such as non-cancerous fibrocystic changes. In cases of extensive tissue necrosis, the inflammatory response leads to calcium chemo-attraction and healing with possible permanent calcification. 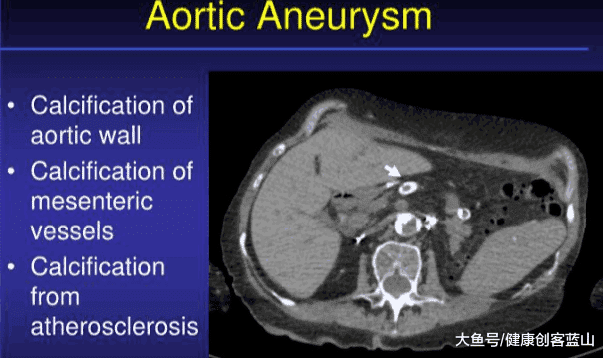 This type of calcification may be caused by infections (e.g. viral or bacterial) and is often seen in the lungs. In instances of chronic inflammation, such as pancreatitis from excess alcohol consumption, or repeated damage to tissues in areas such as the tendons of the knees, shoulders and ankles, calcium deposits may also form.